Do not hesitate to act! 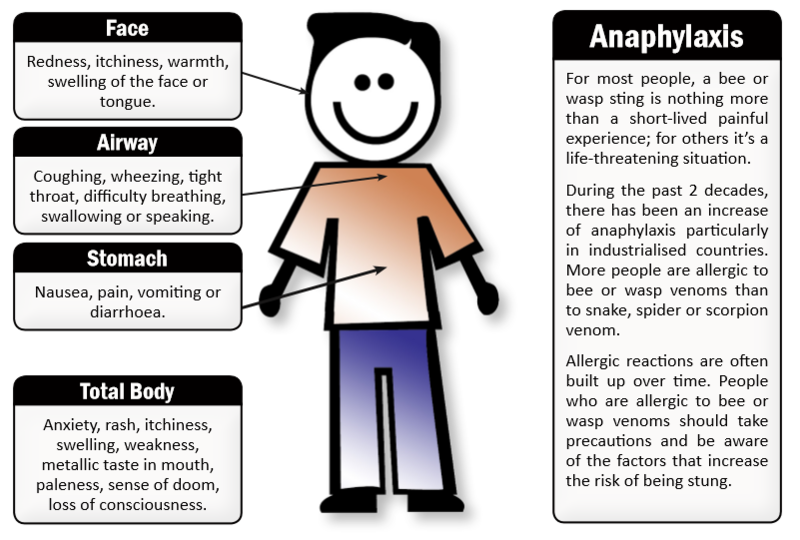 The first signs of anaphylaxis can be mild, becoming life-threatening very quickly. Alert security or safety officer and arrange for transportation of the patient. If the patient has an Epinephrine auto-injector, use it at the first signs of the anaphylaxis. Repeat every 5 minutes if the symptoms intensify. Transport the patient to professional medical assistance.